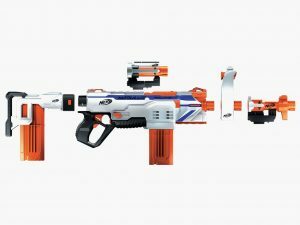 The Regulator, another addition to the Modulus line-up with mini Infra Red microprocessor for single fire, three dart blast or continuous fire, an electronic “braking” feature too, sounds quite high-tec, superb. 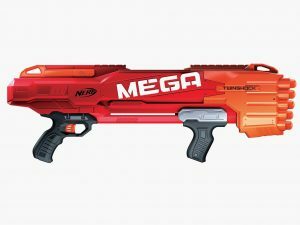 The Mega Twinshock, ten barrels, no elegance with this brute, fire two Mega darts together, shoot one dart at a time or rip through your ammunition, pump the grip, hold the trigger down, and fire five double-blasts in rapid succession. Lol, I can see dads loving this never mind their sons!! 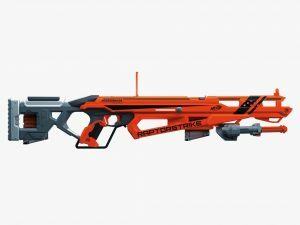 Last but not least, The Raptorstrike, hailed as the most accurate blaster since the Mega Centurion, it features a pop-up sight, fully adjustable bi-pod and bolt-action, true sniper styling, what a way to end the leak! 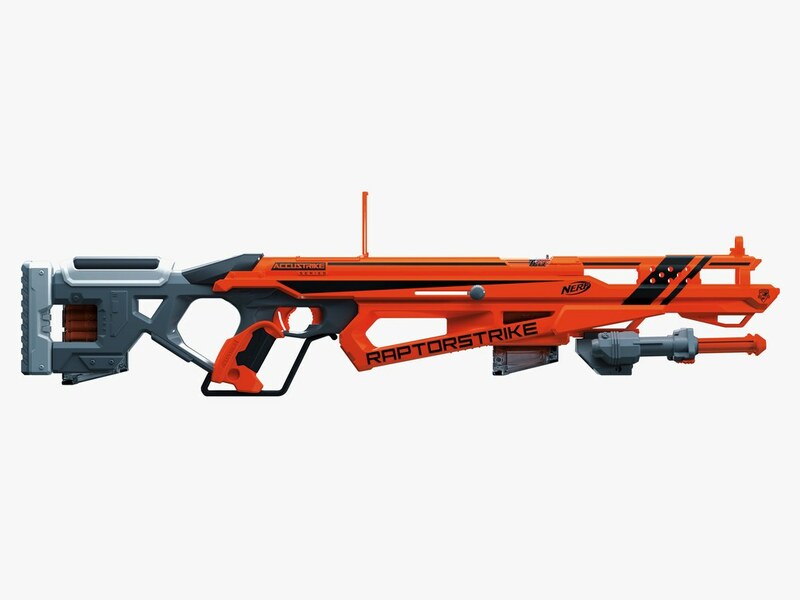 Christmas is coming and it’s again only February……………….bring on Autumn unless we can get this lot quicker into our Mega Blaster Arena!! At Mega Blaster World we stock all the latest kit for all our NERF parties, don’t miss out, its blast or be blasted, watch-out…….